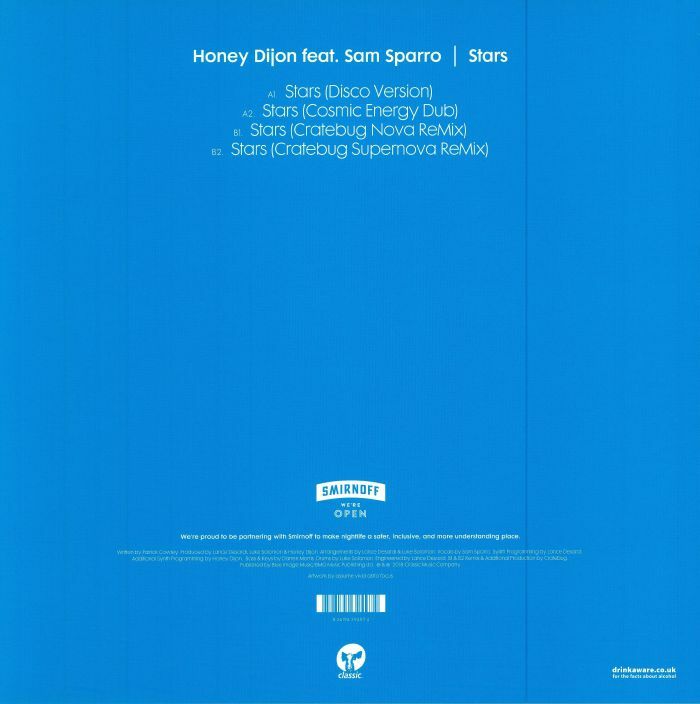 フォーマット: heavyweight blue vinyl 12"
Following the runaway success of her long-anticipated 2017 debut album, Honey Dijon returns to action via a feel-good, peak-time collaboration with storied Aussie vocalist Sam Sparro, who first rose to prominence in the late noughties following appearances on Basement Jaxx records. Sparro's trademark vocal naturally takes centre stage on the opening "Disco Version", a driving chunk of acid house/disco fusion that sounds like a summer anthem in waiting. The track's nagging TB-303 lines are naturally pushed to the fore on the darker Cosmic Energy Dub, while fellow Chicagoan Cratebug flips the script entirely on his flipside rubs. Choose between the deep house/disco fusion of the "Nova Remix" and the arguably superior "Supernova Remix", where twisted but funk-fuelled acid lines rise above a stripped-back groove.